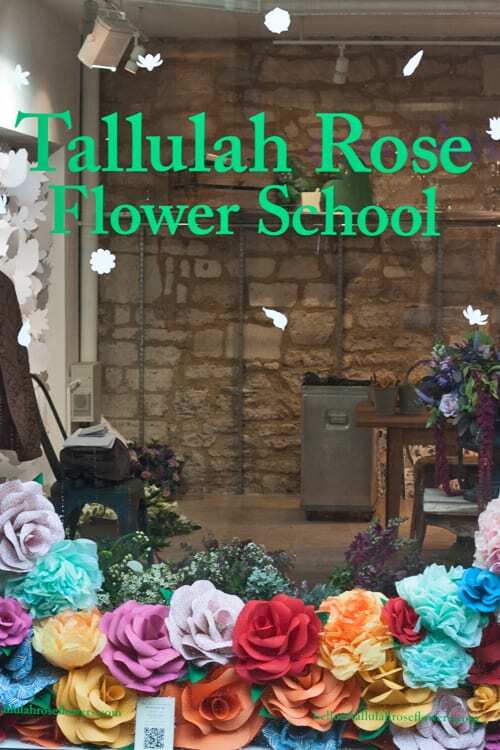 Last month, I was delighted to be invited to attend one day of a Four Week Career Course at the Tallulah Rose Flower School. And I had such a wonderful time! 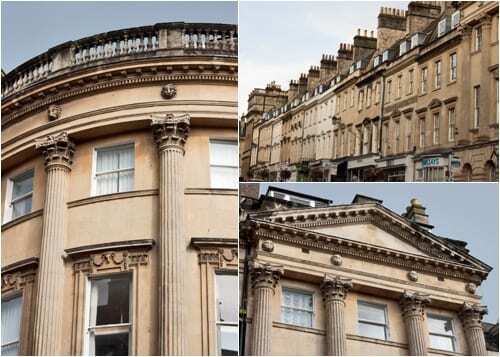 The school is situated in the centre of Bath…a very special city, with stunning Georgian architecture. 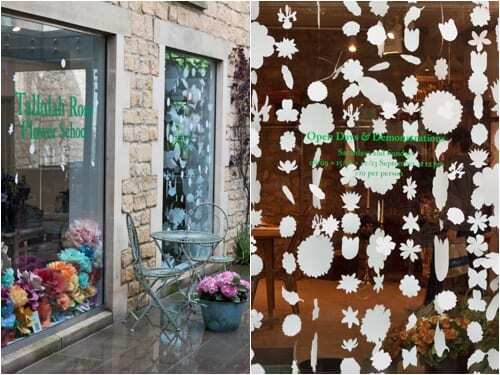 I loved the way that the Creative Director, Rachel Wardley, had styled the classroom…with huge paper flowers displayed in the windows and botanical mobiles screening the students from passing shoppers. I joined the students on Day 18 of their course and after a chat over a cuppa and a delicious iced cinnamon swirl bun, we set to work. It was a ‘mock-shop’ day where we were given two order briefs, with costings and a deadline for their completion. 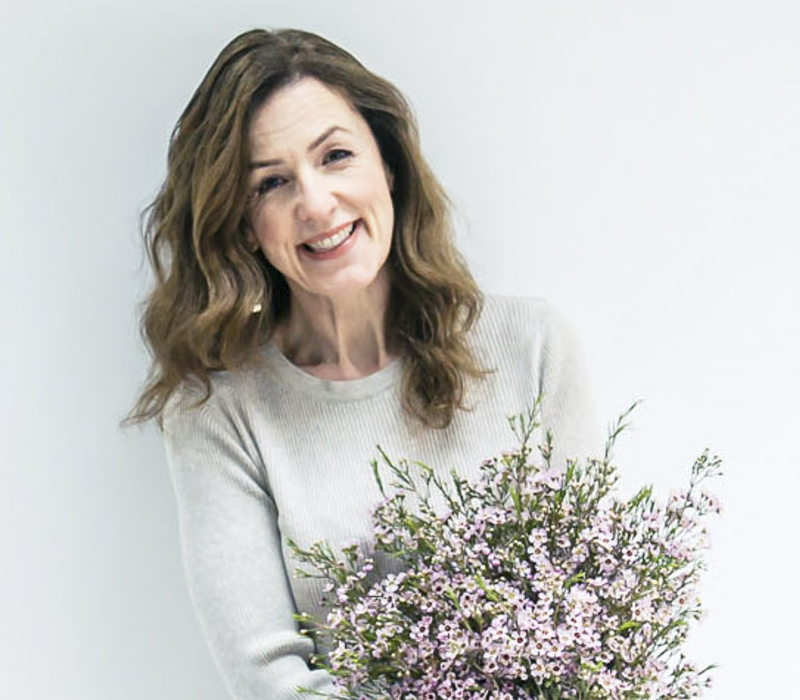 In the morning, after conditioning our flowers which Rachel had bought that morning from the local flower market, we made a hand-tied bouquet for a new mum who’d recently given birth to a baby girl. 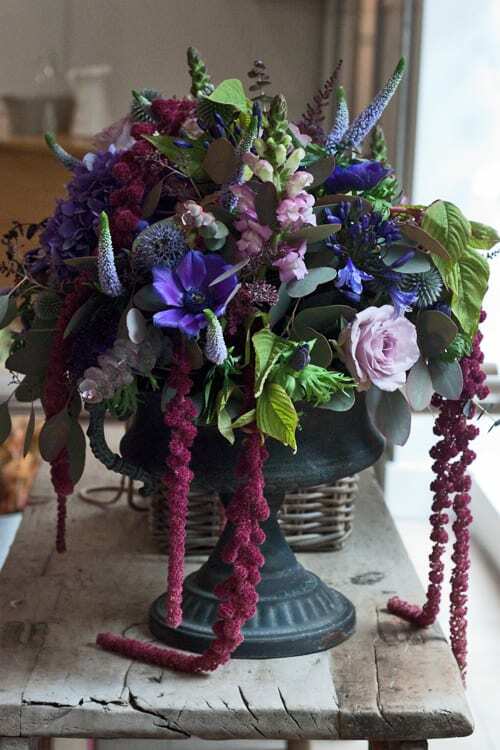 And here’s my bouquet below…which includes a very tiny white flower that I’ve never come across before, called Eupatorium. 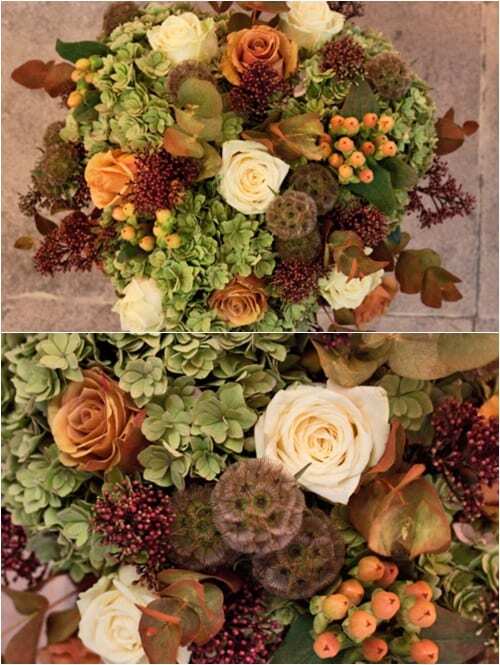 I was so impressed by the flowers and foliage which Rachel had chosen…a fabulous combination of textures and complementary colours. 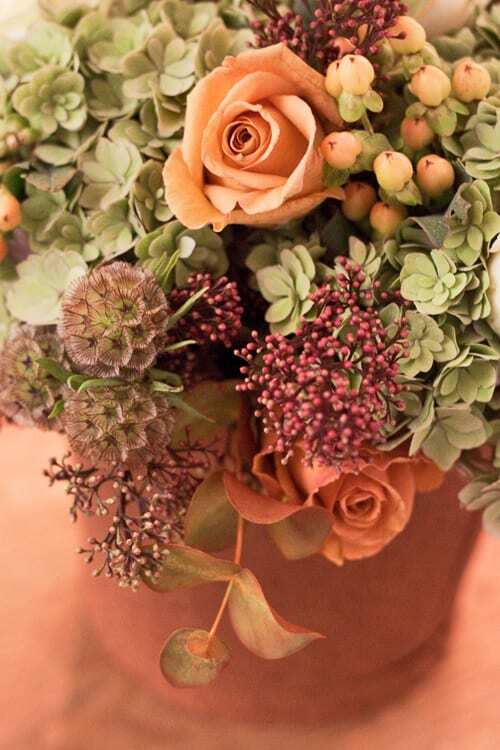 The next Four Week Career Course at the Tallulah Rose Flower School is taking place from November 5th-30th. 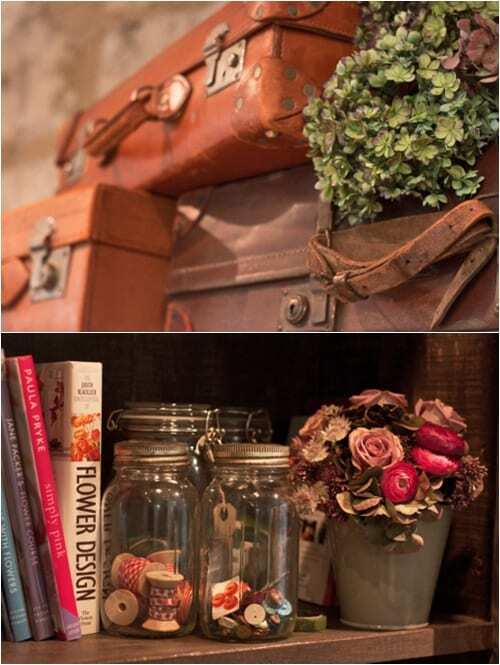 They also run Hand-Tied, Table Centre, Bridal Flowers and Wiring One Day Classes. 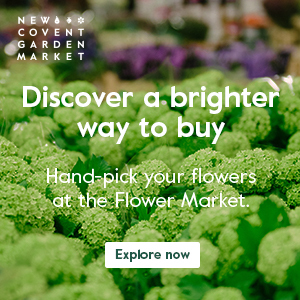 Plus Refresher Courses for florists. If you’d like to keep up-to-date with news about the school, they’re on Twitter and Facebook, plus have a blog. P.S. Here’s a lovely blog post which Rachel very kindly wrote about the day. 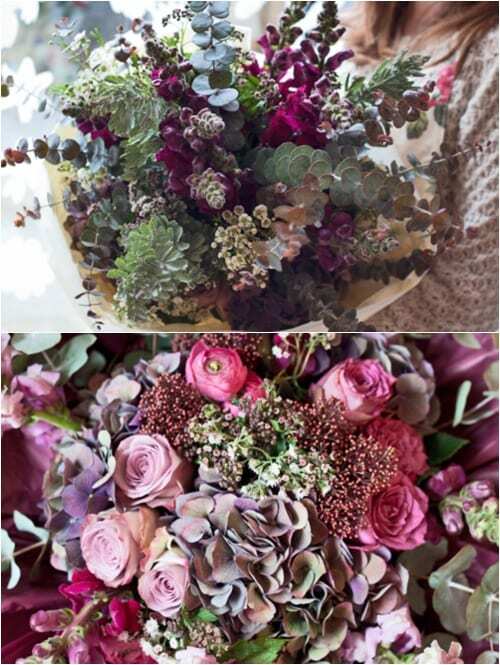 Looks like you had a fabulous day, love all the beautiful flowers, must have been so much fun working with them. 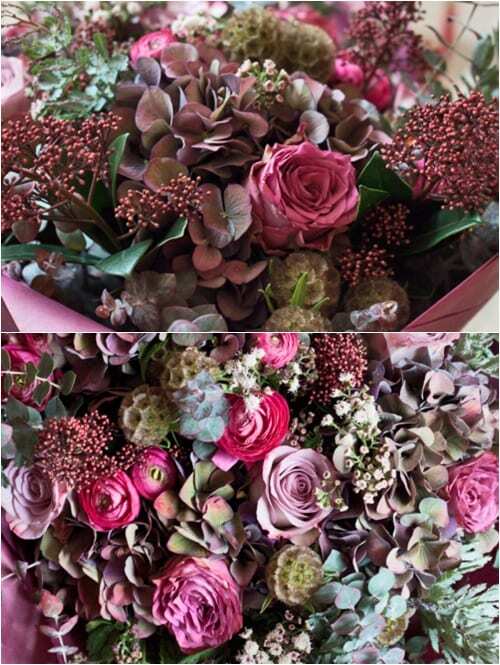 Thank you for popping by Flowerona Andri…I had a wonderful day there :-).